Boy was this simple and Boy was ths good! Love the Taco! What's not to love. 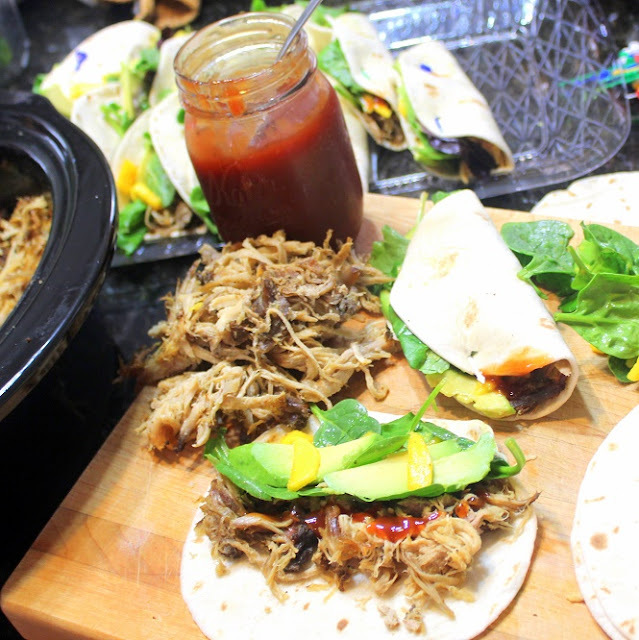 I recently made a BIG batch of pulled pork (DR Pepper Spicy pulled Pork, Crock Pot Easy). While for the most part I make pulled pork just so I can eat a pulled pork sandwich; there are always leftovers. 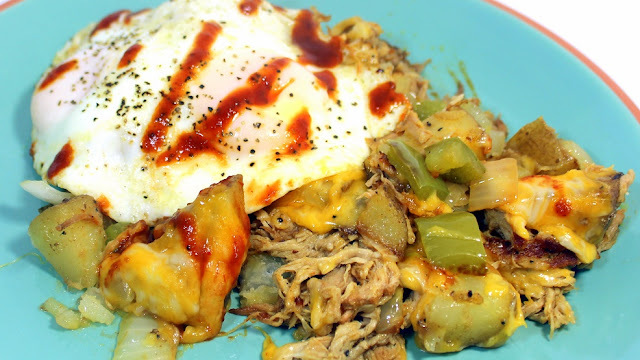 This is one of my favorite ideas for what to do with left over pulled pork. 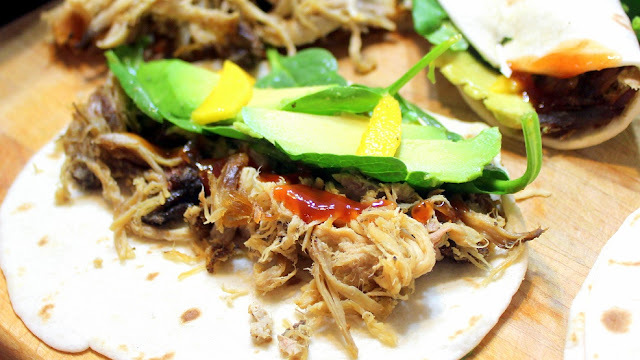 There are plenty of pulled pork taco ideas, but I sure do like this one. Sweet and spicy with tropical accents and everybody LOVES avocado. Like I said, What's not to LOVE? Your favorite BBQ Sauce to Drizzle over the tacos. Prep all the ingredients. Mix the Spinach with the mangoes (the juices will sweeten the spinach and slightly wilt it. 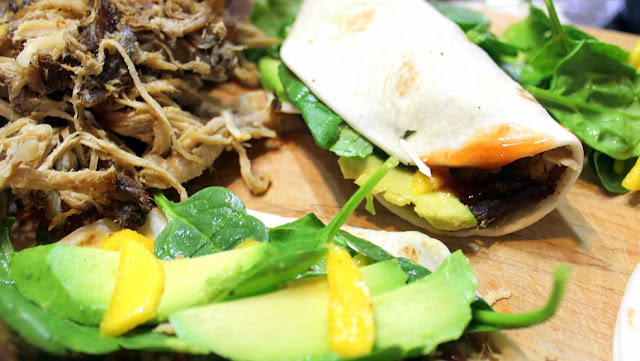 Now just assemble the taco, little pulled pork, little avocado, little mango and spinach on a tortilla, fold like a taco or seal like a burrito. Serve outside on a warm summer evening with a tropical drink (Something with an umbrella) and ENJOY! Well, this "recipe" is one of those. If you scroll down you will see amounts. They are guidelines at best. 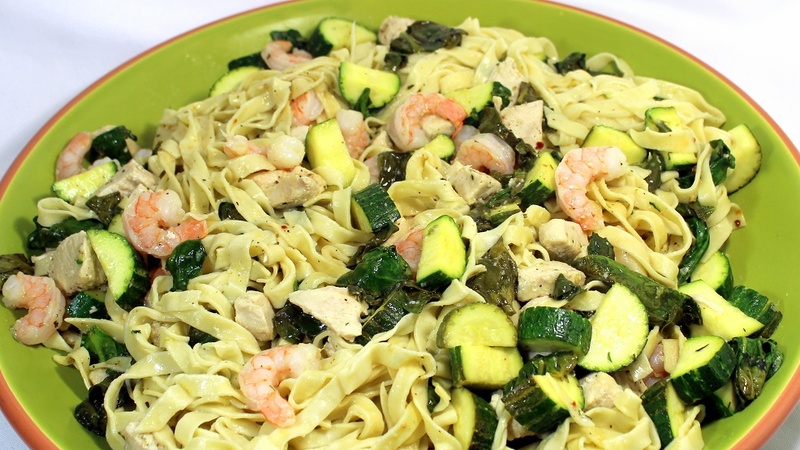 Truth is I made this dish just pretty much from what I had in the pantry. A few days before I made this I needed to make something with frozen shrimp. You know that bagged shrimp (Hey, I live in Kansas, freshest shrimp around is in the freezer compartment). So I knew I wanted to make this for a lunch and just bought a few extras. BUT, you can just as easily use leftovers from a rotisserie chicken, pork chops... Hamburger or sausage. Leftovers and clean the pantry remember. The vegetables I added are optional. I had a couple zucchini from a neighbor's garden and about half a bag of spinach. I gave you the amounts that are ideal, but if you only have frozen spinach... Fine. Use that. No spinach, how about frozen peas (if they ever go on sale cheap, pick up a couple bags. they come in handy to add to a dish and can be used if you get punched in the face to reduce the swelling (don't ask). No zucchini... Fine, leave it out. Sweet potatoes, green peppers, corn; Quite a few things work. just remember those fancy dishes at expensive Italian Restaurante-s.
As to amounts. 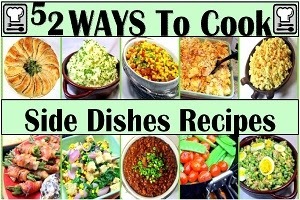 Again... the recipe is just suggestions. Got a LOT of spinach. 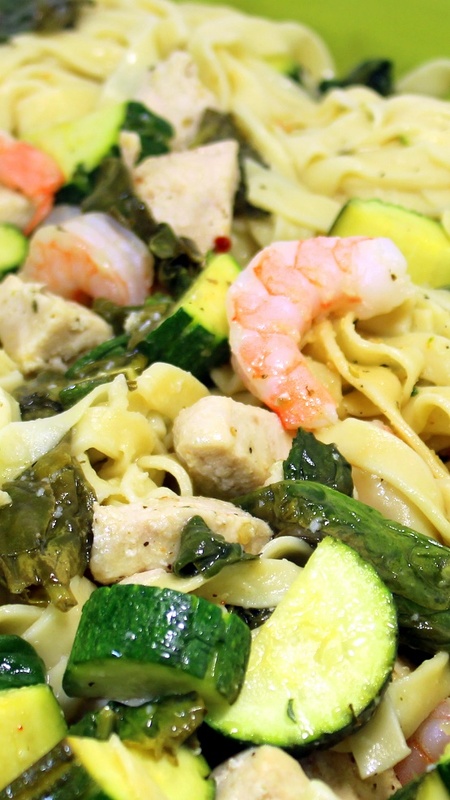 TERRIFIC, you now have a spinach salad with pasta and shrimp. Just a few shrimp... you now have a dish proudly served at lots of low end Italian Restaurants. look close, they are there (you can even cheat and cut each in half along the spine doubling the number of shrimp (but not the volume. No Feta Cheese, use Parmesan or Gouda (just not cheddar (in my opinion). 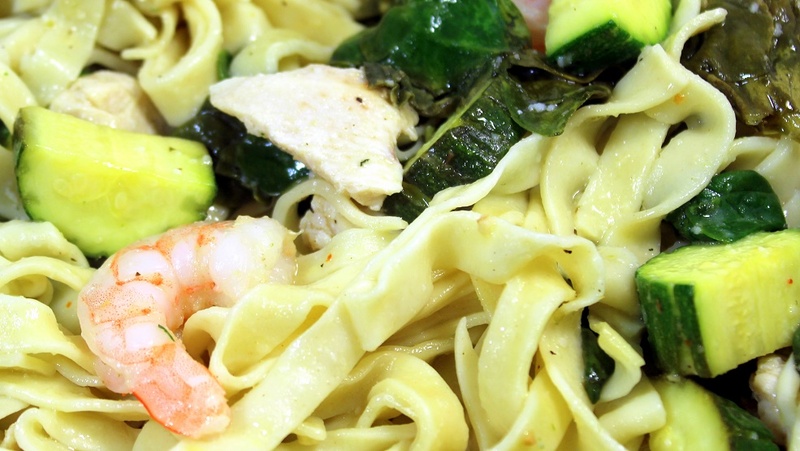 No Garlic... Fine, make a fresh herb (Basil or Rosemary tastes GREAT in this recipe). You get the idea, think like an Italian grandmother and be creative. 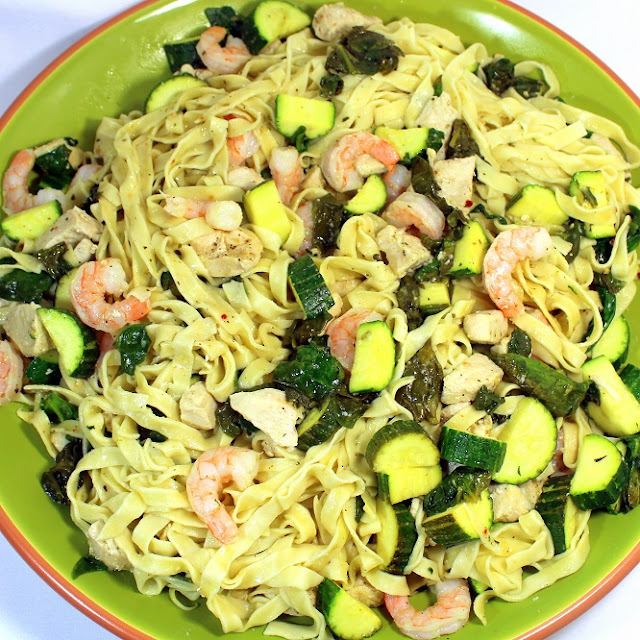 One of the cheapest meals you will make this week since almost everything is simply leftover or pantry items from your freezer! And as Grandma used to say, "Buon Appetito! ;)"
1 pound PreCooked, Shrimp, deveined and skins removed. Warmed over running hot water just before adding to the pasta. Prepare the Pasta according to the directions. It is important to not over cook the pasta. you will finish cooking in the butter. While the Pasta is cooking, in a LARGE Frying pan, melt the butter over medium heat (not too hot, you don't want the butter to brown. Add the Zucchini and saute in the butter for about 5 minutes until just starting to soften. When softened, add the Spinach and garlic and saute another 5 minutes until the spinach has wilted. Meanwhile, back to the Pasta. Drain but do not rinse. While still HOT (as soon as possible after removing from boiling water), Dump the pasta into the butter sauce. Add the Shrimp (remember it is already pre-cooked) and spices and mix until all of the sauce has been absorbed into the pasta (no pools of sauce). Transfer to a serving platter and sprinkle the feta over the top. But if you are, this does help. Substantial, stick to your ribs... and just a little greasy food that will fill your stomach with something other than that leftover bile. This recipe is more of a simple, traditional hash with basic ingredients you’d find in any pantry. If you want to upgrade it to a restaurant-quality side, all you’d need to do is add a bit of herbs and some more variety to the mix. For instance, using purple potatoes instead of your standard Yukon gold potatoes would set it apart just from a visual aspect. Adding vegetables like zucchini, sweet potatoes or even cauliflower can also add an extra dimension to your plain old starchy potatoes. 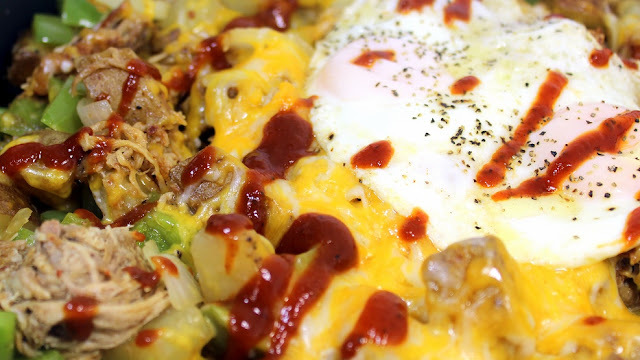 Honestly, you can just use up whatever is left in your fridge because hash is just medley of ingredients that have been crisped up. In the end you know you’re going to get something delicious. The meat is whatever I have left in the fridge (like this pulled pork... 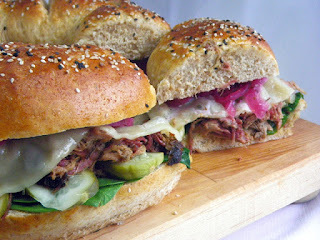 I have several Pulled Pork recipes on the blog. 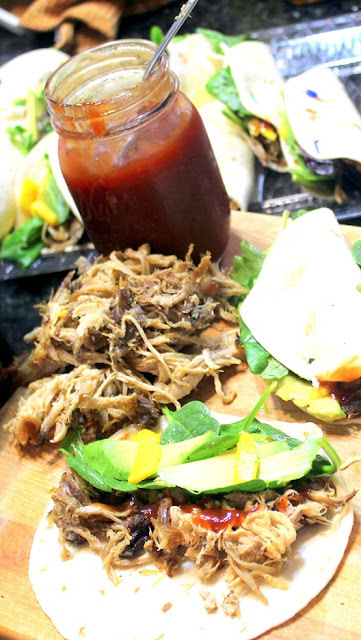 Most recently I posted a DR PEPPER Crock pot Easy PULLED PORK RECIPE... I made this from those leftovers. There's really no cure for a hangover... Aspirin, LOTS of water, a nap and something substantial, stick to your ribs... and just a little greasy will help! 6 Large Eggs, made as you like... For this I prefer Basted in Butter so the whites are cooked yet the yolks are still runny! Optional, Sliced Green Onions as a garnish (White and Green parts), but you really aren't hung over of you take the time for garnish. 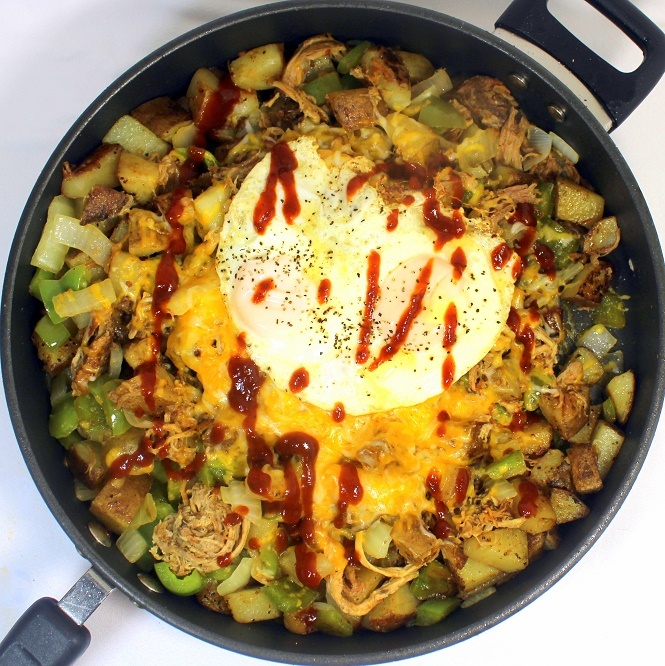 In a LARGE non-stick Skillet (you are hungover, no need for the potatoes to stick and piss you off), add 2 TBS Olive Oil and heat over medium heat. Add the Green peppers and onions and saute for about 5 minutes until the onions are soft and translucent. Remove from the skillet. Add an additional 3 TBS of Olive Oil. Reheat over medium high heat. Add the diced potatoes and saute for about 10 minutes until the potatoes are cooked through and get a crispy texture on the outside with a golden brown and delicious looking char. Add the onions and peppers back to the skillet with the potatoes. Also add the leftover cooked pulled pork (or substitute cooked meat of your choice). Season with the Old Bay Spice mix and saute until warmed over. Meanwhile, cook the eggs as you like... Scrambled works fine (easy to do hungover), over easy works but is harder when hungover. I prefer a runny yolk. Add the cheese to the potatoes, cover for 1 minute and the cheese will be nicely melted. 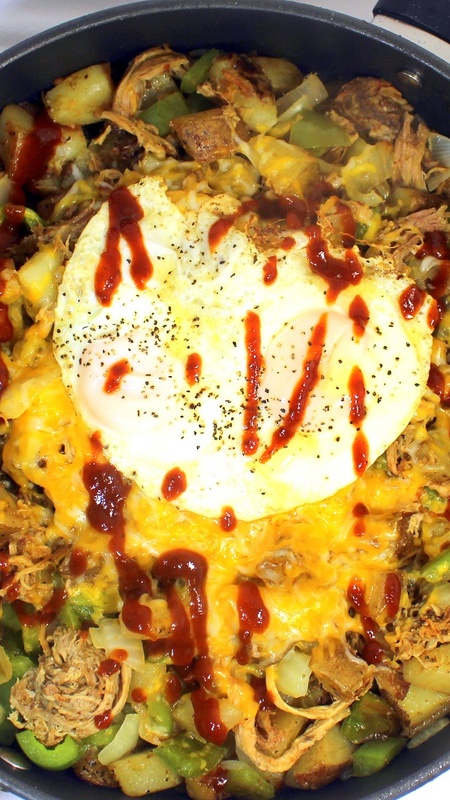 Add the eggs, drizzle with the BBQ Sauce and Optional Garnish with the Green Onions (if you are able) and serve hot. This is sort of a part two of the same recipe. 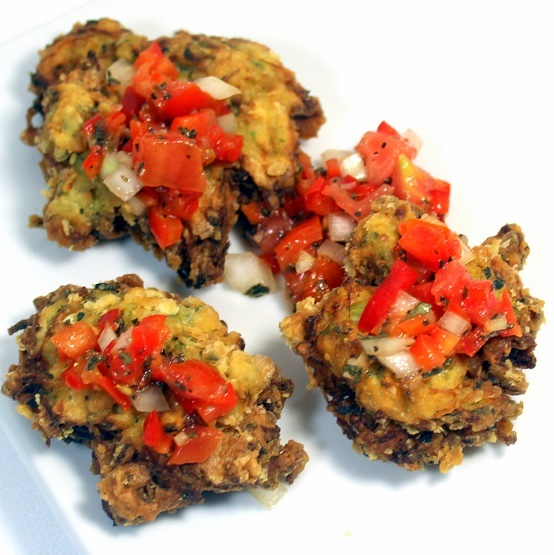 Yesterday I posted a recipe for Zucchini Fritters made with garden fresh vegetables. Today I am doing the relish I served with them. Sort of a fresh veggie chip and dip idea! Naturally sweet (accented by the roasting) and Earthy, Rustic Savory deliciousness. 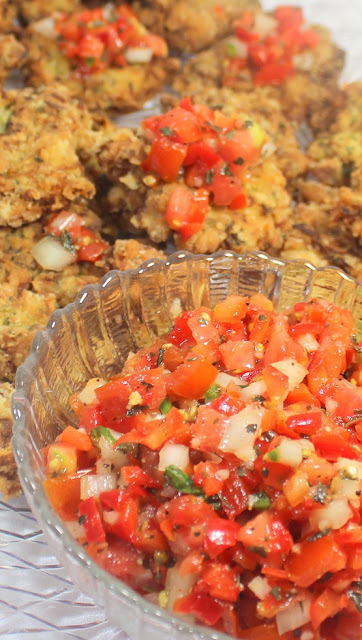 Easy to make and a wonderful side dish to serve up with your summer bounty! Cut the Red Pepper into quarters, remove stem, white membrane and seeds. Rub the pieces with a bit of Olive Oil just to moisten. Place on a lined rimmed cookie sheet and BROIL for about 5 minutes, until black blisters appear on the skin. Remove from the oven and cover loosely with a sheet of aluminum foil. Wait 15 minutes and then take a paper towel and rub the pepper, the skin will come off easily. Cut an X into the tomato, shallow cut, you only want to pierce the skin. Dip the Tomato into boiling water and count to 10 slowly. Remove the Tomato from the water and the skin will peel easily. 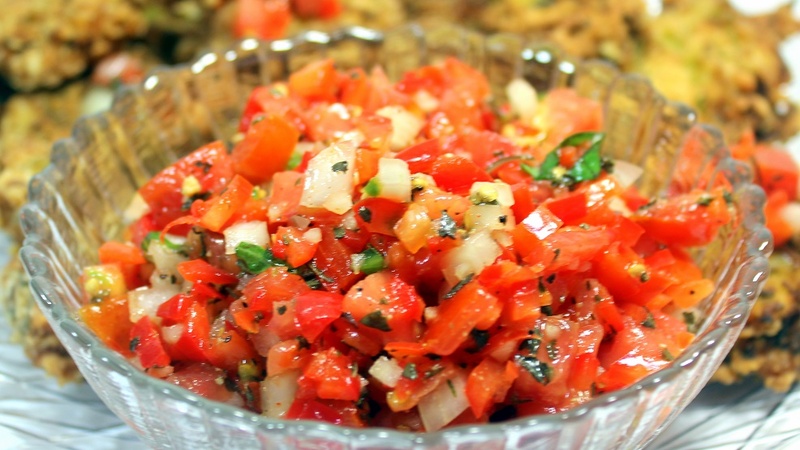 In a mixing bowl, add the Pepper, Onion, Tomato, Garlic, Cayenne, Olive Oil, Parsley, Lemon Juice and Zest and mix well. Taste, add additional salt and pepper to taste. 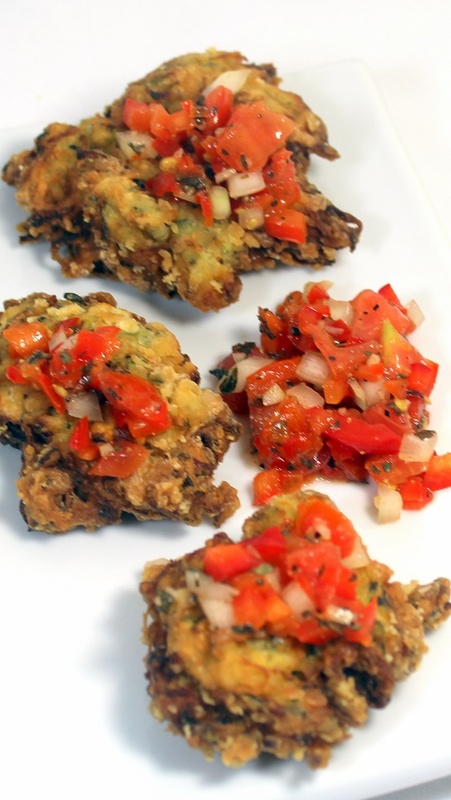 Serve chilled... best when served with the Zucchini Fritters! and ENJOY! It's that time of year... Garden fresh vegetables everywhere! Like Zucchini, fresh from my garden, easy to find (and cheap) at any Farmer's Market and your neighborhood grocery store. Sure you can get zucchini year round (how do they do that>), but something special about seasonal fresh ingredients, grown local and just picked! Love these little guys. 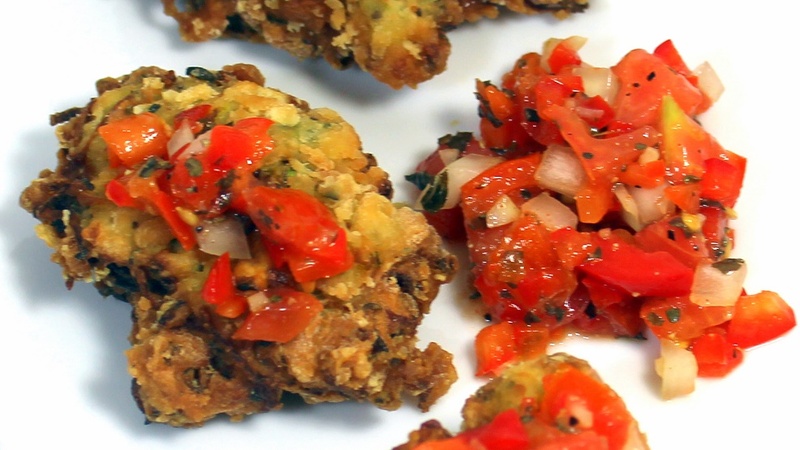 Bite size and served up with a wonderful Red Pepper relish (again, farm fresh!). Come back tomorrow for the Relish recipe... It's a winner as well! 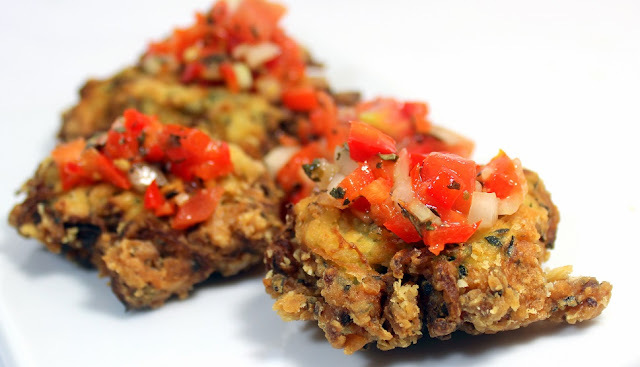 Crispy on the outside, deliciously soft and chewy on the inside, these will make you ignore the fact that they are almost all vegetables. Use the large holes on the shredder blade wheel of a food processor, shred the Zucchini. Put the shreds into a colander. Sprinkle with salt and allow the liquid to drain for an hour. Squeeze all remaining liquid (there will be A LOT!) from the zucchini shreds. Remove stem, all white membrane and seeds from a jalapeno, mix with the zucchini. Whip the eggs, mix with the flour, salt and pepper to form a thick paste. Mix this with the zucchini. Heat the Canola oil in a large frying pan. Hot enough that drops of water will sizzle when added. 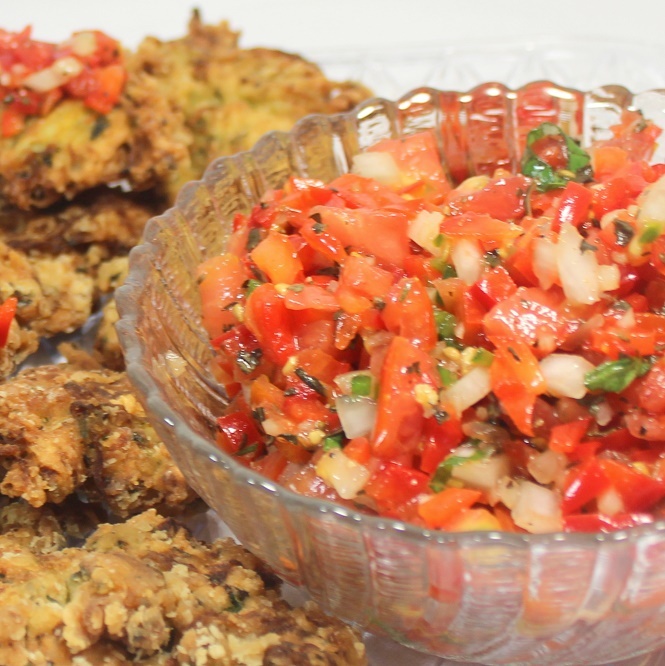 Serve warm with Red Pepper relish and ENJOY! 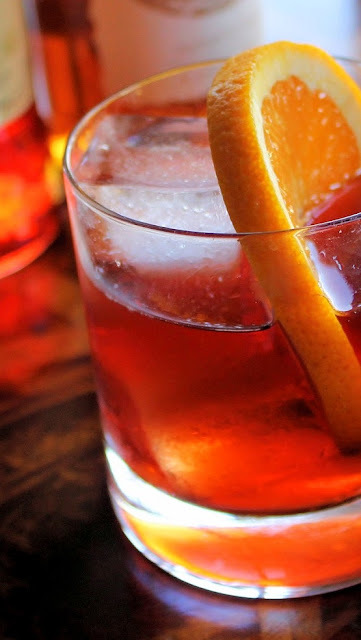 "The Negroni is one of the simplest and most elegant drink formulas around: combine one part gin, one part sweet vermouth, and one part Campari, then stir and serve over ice. This bitter, sweet, and smooth drink has inspired countless variations as well as legions of diehard aficionados. 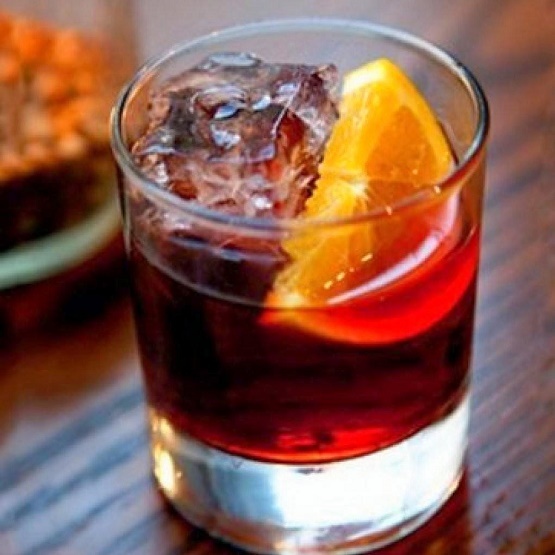 In The Negroni, Gary Regan--barman extraordinaire and author of the iconic book The Joy of Mixology--delves into the drink's fun, fascinating history (its origin story is still debated, with battling Italian noblemen laying claim) and provides techniques for modern updates (barrel aging and carbonation among them). Sixty delightfully varied and uniformly tasty recipes round out this spirited collection, which is a must-have for any true cocktail enthusiast." I was gifted a copy of "The Negroni" by Gary Regan. Sure enough, a single book devoted to a single cocktail... Well, the classic original plus 60 variations from around the world. This is indeed a labor of love and it shows. The photos in the book are stunning. Old world Italian bars with the dozens of variations on Gins, Vermouth and especially Campari lining seemingly centuries old bar backs. Inspiring photos of drinks that make your mouth water to have a sip. 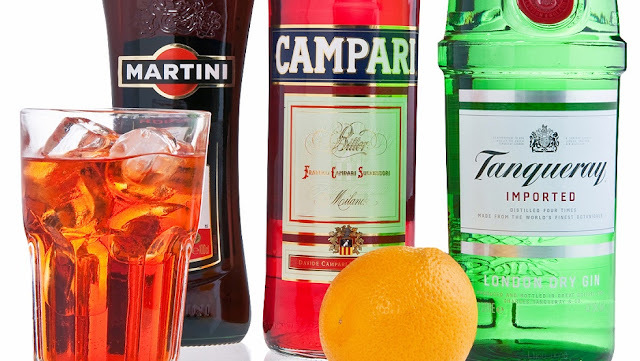 The history, story and legends of the drink are explored as well as world famous bartenders inspirations for the drink. This is so much more than a book about a cocktail. Even a teetotaler will find this truly something special! 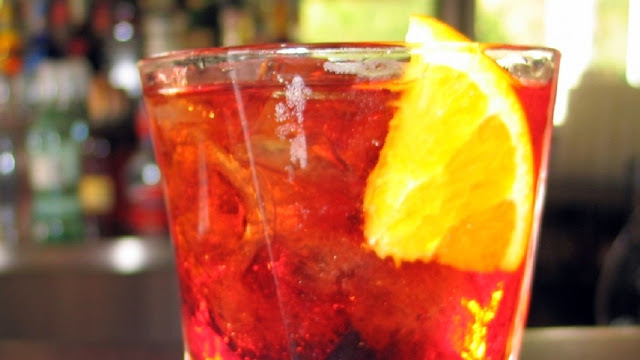 Me, I can't wait for Columbus Day to have a special Italian feast... First course the Negroni as an Apéritif and digestif! Here's the legal stuff... "I received this book from Blogging for Books for this review." But the review and opinions are 100% accurate and mine!". Stir all the ingredients with ice in a Double old fashioned glass. Serve on Rocks and ENJOY! 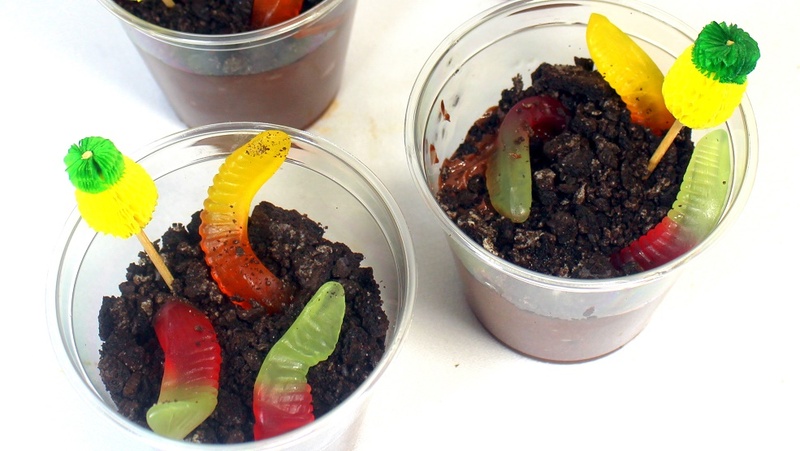 And kids go CRAZY for these! Recently my church expanded their children's chapel. Largely in the past the rooms were used for little more than an hour of baby sitting (not a small inconsequential thing). But now the leaders are trying to add about 15 minutes of religious instructions. Children's versions of the story of Moses, Noah's Ark, Garden of Eden and the like. We have a wonderful young woman who happens to be an education student and she has stepped up and agreed to do all the lesson planning and leading the events (way to go Jennifer!!!). My wife agreed to provide the snacks for the 10-20 wee ones that attend. And of course when she volunteered, she actually meant me. Which is fine. My chance to start a new topic... A year's worth of children friendly snacks. Perfect for Grandma visits, after school sit downs to find out how their day went, play days with neighbors and friends, baby sitters... Or Children's Chapel! So let's start with a classic. 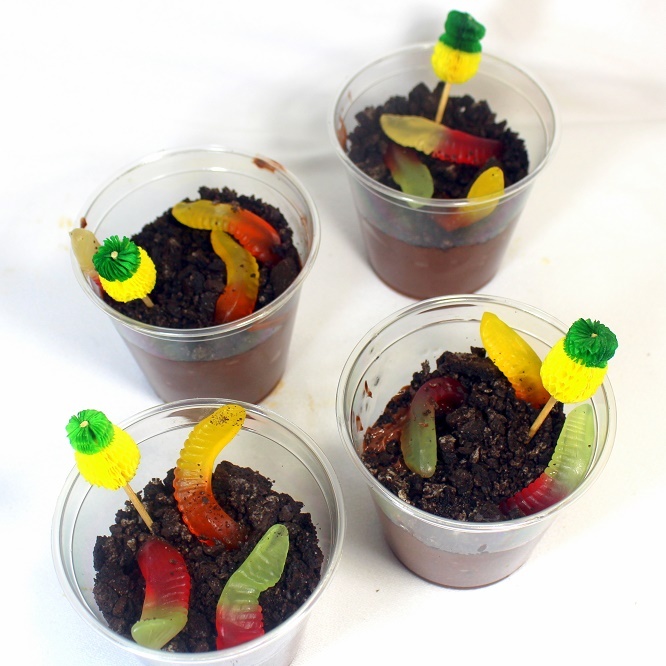 These have been around almost from the first minute that gummy worms showed up in candy aisles. 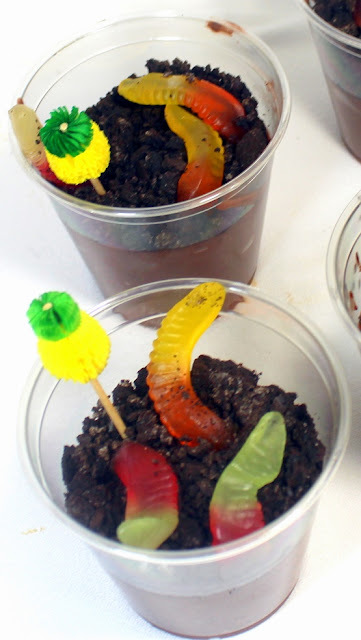 Kids LOVE to play in dirt and the boys LOVE to eat worms. A wee ones crowd pleaser! Will make 10 servings. Double/Triple or more as needed. Beat pudding mix and milk in large bowl with whisk 2 min. Let stand 5 min. Stir in COOL WHIP and 1/2 cup cookie crumbs. Spoon into 10 (6- to 7-oz.) 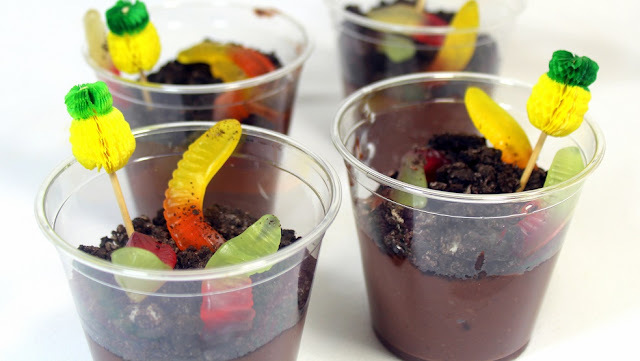 paper or plastic cups; Insert three gummy worms in each cup leaving half sticking out of the pudding. Refrigerate 1 hour. Serve chilled and ENJOY! if available.